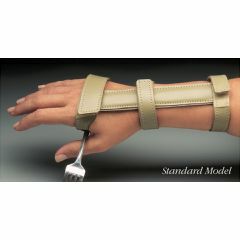 AllegroMedical.com provides a full array of adaptive equipment for eating, including everything from adaptive eating utensils to mealtime protectors, specialty cuffs, and more. With this wide range of premium options, you can still save on adaptive equipment for eating & adaptive eating utensils for the disabled & elderly. With such famous brands as Mabis DMI, North Coast Medical, Maddak, Good Grips, AliMed, RMS Medical, Sammons Preston and others available, you are sure to find what you need at the best quality possible. AllegroMedical.com offers only the highest quality eating aids and accessories at the lowest prices guaranteed. See our Best Price Guarantee for more details.